Defining the target market for your business is the most important piece of digital marketing. By understanding your target market, you can set your marketing efforts and direct your business operations toward success! When I work with business owners to improve their online marketing strategy, one of the first questions I ask them is “who is your audience?” This issue is the most important part of my job because a professional digital marketing consultant needs to understand who the business is trying to reach. Optimize your Google My Business Listing & boost your Google Maps ranking with a quick, no obligation 20-minute consultation. When I hear answers like “anyone who…” I know that I am in for a heart-to-heart conversation with them about branding and target audience. Professional digital marketing consultants know how to help your business target your ideal market. Make sure you only hire a digital marketing consultant is someone who can use online marketing tools for small business to understand your customers and position your business in the market. Target marketing focuses on a small segment of your larger market. While this limits the scope of your audience base, it allows you to focus your marketing message toward an audience that is contextually aligned with your business solutions. There are countless benefits of having great content, and this is best accomplished by leveraging a professional freelance copywriter. By restricting the scope of your possible audience, you are expanding the opportunity for you to increase your overall revenue. You rely on your customers for the continued health of your business. If your target audience is not defined, then you can’t speak directly to your potential clients. Personalizing your marketing message allows you to produce a compelling message that speaks directly to your audience. Identifying your target market requires in-depth keyword research to understand the needs of your audience. You also need to understand your competition with a comprehensive competitive analysis. By focusing on the needs of your customers and the presence of your competition will reveal content gaps that will make your content strategy stronger and more profitable. Great marketing that drives traffic and boosts conversions is more than great keywords and copywriting. Great business marketing is the result of meticulous research and focused attention to driving a message directed at a narrow audience. If you operate in a competitive market (and I am sure you do), then you can’t rely on mass marketing. Your competition is working hard to claim the same customers that you serve. Instead of fighting on the same ground as your competitors, you can leverage your strengths to take advantage of a smaller market segment that you excel in. Fix your rankings in local SEO and walk away with actionable steps to improve your rankings. 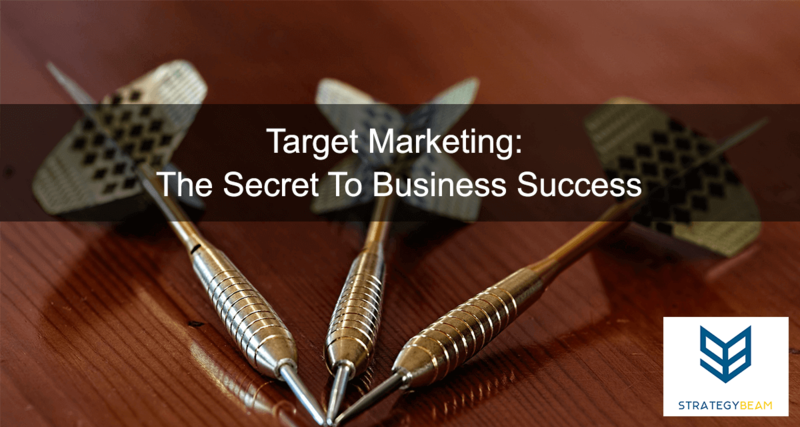 Target marketing requires far less money to run a successful campaign. Marketing for your customer segment will help you reach your profitable customers. Target marketing is the secret weapon for a smaller brand that wants to compete in a competitive industry. Leveraging a particular target market helps you create more relevant content. This will produce higher ROI compared to mass marketing to an undefined target audience. Identifying your niche market segment is one of the most important steps of your entire business process. It’s easy to say “I serve everyone with everything,” but in reality, you will be saturating value due to your broad business scope. Of all the people who could use my business solutions, who am I most passionate about working with? Who will benefit the most from my solutions? If I spend a lot of time and resources learning about a particular demographic, which one will I enjoy the most? Which demographics do I already have connections with? Who are the people who give me the most feedback (positive or negative) on my offerings? Use the answers from the above questions as a large filter will help you steer toward a market segment you can use to springboard your business. These qualities represent the largest demographic for your business strategy. The next step will be to identify who your business solutions are best suited for. Take a step back from your business for a minute. Think about the solutions you offer as a commodity that your customers want to consume. Since you work with a particular product or service, your target audience needs your solution like they need food and water. Food is a commodity, but it has been approached in the restaurant business differently. On one side you have McDonalds, and the other you have Ruth’s, Chris. McDonalds is known for cheap, fast food, whereas, Ruth’s Chris is known for expensive, sit-down service. While both McDonald’s and Ruth’s Chris provide food to their customers, each restaurant targets a particular segment of people who are hungry. But how they serve their target audience is based on the specific needs of their desired market segment. Once each franchise identified their strengths and who they wanted to help. They were able to personalize their message and make more efficient marketing material around their target demographic. Both restaurants leverage their strengths and value propositions to help drive revenue based on their product as they are different than anyone else in the market. Ruth’s Chris markets exclusively to individuals who want to sit down, spend $30 per plate, tip, and have about an hour to eat a hand-crafted meal. McDonald’s markets to people who are in a hurry, are on-the-go and don’t want to spend more than $30 for their entire family. The target audience for both Ruth’s Chris and McDonald’s are similar on their face because they are hungry. The finer details of their target market drive their strategic marketing efforts. 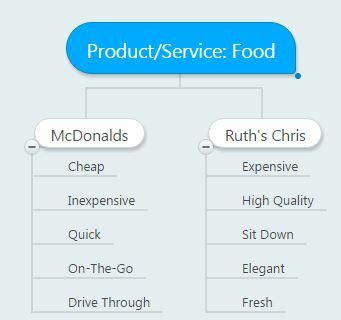 Based on the example of Ruth’s Chris and McDonald’s we see that a company needs to base their marketing strategy and budget based on their market segment. Target marketing saves your business money and time. Target marketing aligns your content production with the needs of your audience. As a result, your content can be used as an asset to grow your business and your content will be more relevant and valuable. Ensure the best for your business with a professional business marketing coach to help you target your ideal market segment.